April 18: Added Karin Miller interview. April 17: Answering Karin Miller questions for her interview. April 12: Added Paul Gaskell interview. April 11: Working on "Packrafting Glen Canyon (April)" Submitted "Just One Thing" piece to Anthony Naples. April 7: Added in "Honryu Tenkara"
April 5: Added in "Patagonia Middle Fork Packable Waders" Secured Brent J. Auger interview. Working on Jun Maeda interview and Jun Yossy. April 4: Added in "Patagonia Wader Workstation"
April 3: Sent Karin Miller her interview. March 30: Put together "Gnome's Traveling Rod Show"
March 24: Finishing up Karin Miller interview, started "Packrafting Glen Canyon (April)" with my old friend, S.Brooks Bedwell. I have not seen him in a few years. He and I get together from time to time to go fishing. I'm turning him on to packrafting and he has been with me up to 9-mile before. He is a talented photographer so we will get some great pictures. 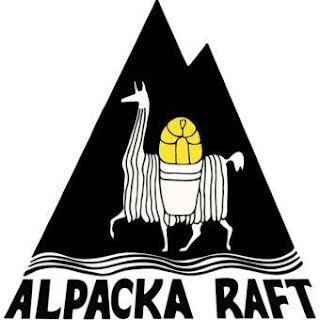 Alpacka is going to feature Ziggy and my story soon, can't wait and bought a 2 place packraft! Anyway, back at the site work. March 12: Finished and post "Packrafting Glen Canyon (March)" Added in photographs to the Gamakatsu Suimu EX. March 5: Added in Flydestruction to the Links page. Working on "Just One Thing" for Anthony Naples site, Casting Around. 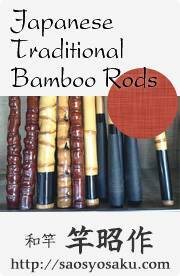 March 3: Added Tenkara Tracks to the Links page. Secured Jun Yossy for an interview. 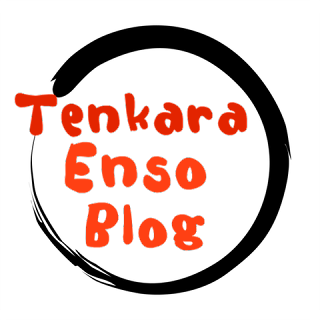 March 2: Added in Tenkaraman blog to the Links page. Housecleaning the home page. Added in Language Translation. March 1: I completed the Paul Gaskell interview by adding in the photography and fixing a couple of minor dictation errors. Editing Packrafting Glen Canyon (March) story. Contacting Jun Yossy for interview. February 26: I got the file back for the Paul Gaskell interview and am formatting it, waiting on images to add in. Working on Karin Miller interview. February 24: Working on Karin Miller interview, starting Jun Maeda interview, working on Glen Canyon Packrafting (March) story. Adding in "We Choose Barbless Hook" logo/link. February 17: Working on Glen Canyon Packrafting (March) story/packlist. Updated the Links page. February 16: Sent Paul Gaskell interview off. Currently writing Karin Miller interview. Secured Jun Maeda interview. 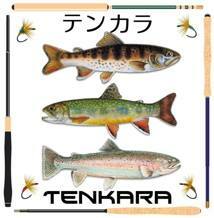 Updating and adding in new Japanese tenkara sites to the Links page. February 15: Deep into writing the Paul Gaskell interview, looking forward finishing it. Starting to develop the content for the Karin Miller interview. Reviewing content from Soseki Yamamoto's book, "The World of Fly Fishing; Tenkara Secrets" for my upcoming vise time. February 11: Posted "Other Tools for Tenkara Fishing, a Minimalist Approach" Reviewing the full quiver of Zen Tenkara rods for upcoming interview with Karin Miller. Commited to a date for the back haul services on the Colorado! We will announce this soon. 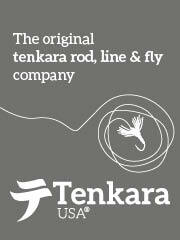 February 7: Updating and adding in new Japanese tenkara sites to the Links page. February 6: Uploaded David West Beale interview, got the commitment from Karin Miller for her interview, Zen Tenkara sending a batch of rods for familiarization, working on additional research resources for the Links page, secured backhaul reservations for Mar 9 pack raft trip at the Colorado River with Siegfried Forster. February 4: Updated Fujino Soft Tenkara and Fujino Straight Line pages, updated "About Us" Ordered "World of Fly Fishing; Tenkara Secrets and To Fish in the Valley of Mystery"
February 3: Added in the Gamakatsu Suimu EX 5m page, added in Fujino Soft Tenkara Long Type page, added in "Backing Type" line page. February 1: Finished and sent David West Beale interview, started Paul Gaskell interview. January 25: Worked on and posted Michael Agneta interview. January 24: Added in Tenkara Tales link. Started David West Beale interview. January 20: Added books and many new blogs and business in Links page. January 19: Added What's New page - cleaning up Links page - Notes: Add in tenkara blogs, videos, categorize Japanese tenkara experts blog/links - finalizing Michael Agneta interview questions. Notes: Generate found feathers and blue fly pages. Photograph and add to the tamo page my new Mankyu tamo.